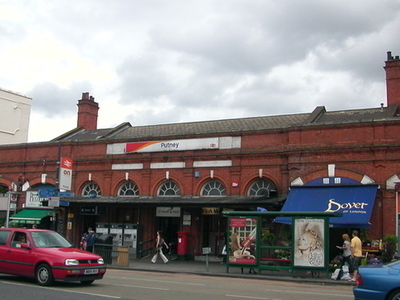 Putney railway station is in Putney in the London Borough of Wandsworth, in south London, and is on the boundary of Travelcard Zone 2 and Zone 3. The station and all trains serving it are operated by South West Trains. It has four platforms and is about half a kilometre from East Putney Tube Station. Ticket barriers are in operation. The station opened when the Nine Elms to Richmond line came into service on 27 July 1846 and was rebuilt in 1885-6 when the tracks were quadrupled. Here's the our members favorite photos of "Railway Stations near Wandsworth Borough". Upload your photo of Putney Railway Station!